This guest post is by April Boettcher, a waiting adoptive mother. Our journey to adopt began over 8 years ago. Adoption has always been written on my heart. As a young girl, I knew that I would grow up someday adopting a child or two. As soon as we got married, my husband Lance and I started planning for our little family. As things turned out it would be more tricky and difficult due to my the fact that I was 38 at the time. Eventually we saw a fertility doctor and started testing to figure out why I couldn’t conceive naturally. When the results came in, we learned that my eggs were too old. I was beyond devastated. I didn’t understand. I still felt that maybe a miracle could happen. She prescribed some fertility drugs and encouraged us to see what would happen. I had one shot at getting pregnant, and after trying for a few months I was able to get pregnant! Sadly, I lost that pregnancy in my fourth month. We were heartbroken. A little later we tried again, and this time we were able to carry full term and I gave birth to our sweet girl who is now 5. During this time we decided to sign up to adopt a foster child through Alberta’s Child and Family Services. We desperately wanted to have children and had no idea during the time before our daughter arrived if we could conceive naturally. When I got pregnant we put adoption on hold. And after a few years we decided to start again. The wait times for adoption had changed hugely from when we first began. A lot of other things have also changed. For one thing, there are fewer younger children available. As of now, we have been waiting almost three years to adopt through the Ministry. One of the reasons we’ve had to wait longer is because we are hoping for a younger child. We decided to keep our daughter the first born and that’s the main obstacle that is keeping us from getting matched. But we are holding on, and in the meantime we try to keep busy with life. Sometimes I find myself getting discouraged and want to give up. Whenever that happens, I say a little prayer, talk to a friend and try to move forward. My faith also helps me stay positive and brings me into the future. I try to hold onto the life that is out there. Keeping busy — but not too busy! — is a great way to stay distracted. Getting involved in training sessions for adoption helps too! If, like me, you’re waiting to adopt, prepare yourself by reading books on parenting and connecting with a pre-adoption group. Still, during difficult times depression is always just around the corner. Over the years I have come up with several strategies to help me deal with it. Whenever I feel depression coming on I reach out to someone close to me to help me deal with whatever it is that is causing the triggers. It’s easy to lose sight of the joy around you and all of the amazing love that is there right now. Being a Christian doesn’t automatically protect you from depression. Sometimes it can even make it worse because it adds another layer of guilt. You say to yourself that you are not being a good Christian for allowing yourself to get depressed. I am also a control freak. I tell myself that I can make things happen through my own strength. But in the case of adopting, the process really is out of my control. 1. Prayer. This can also be like meditation. The goal is to reach out to something that brings a little relief and re-direction, focusing on something other than the situation on hand. 2. Reaching out to my husband, my sister, or a friend. Talking out what is bothering you, and having someone just listen to you and what you are going through can and make things look a little brighter. 3. Seeking counseling. This is also another way to find assistance and get different tools to go deeper. When you have the tools, you can create strategies to help you get through the really difficult situations, as in when you’re waiting to adopt. I am now living in the future, I tell myself I need to push through this, and not let it hold me back. Our journey isn’t over yet, but I am motivated to keep moving forward until I know it’s done. That time has not come yet but one day it will. 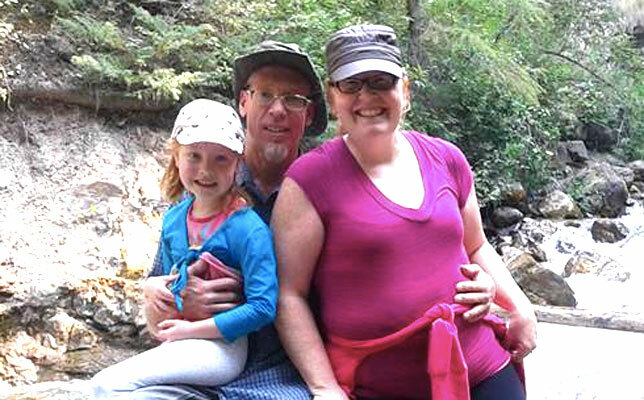 April Boettcher is a waiting adoptive mother in Alberta.